While on book deadline (right now, for instance), I suffer dramatic ups and downs. In my darkest hours, I re-read reader success stories that have been sent to me. It makes the entire rollercoaster worth it. 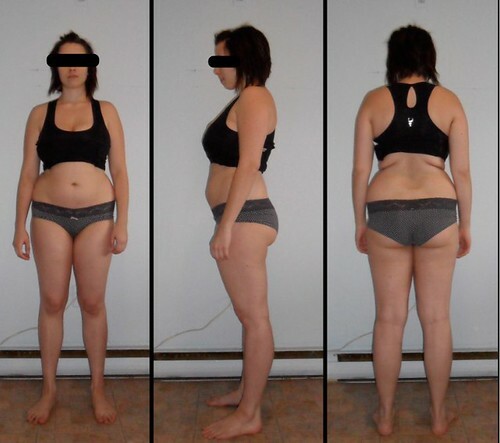 Comprehensive step-by-step details, including Q&As and troubleshooting, can be found in The 4-Hour Body, but the above outline is often enough to lose 20 pounds in a month, drop two clothing sizes, or more. The same exact rules apply. No differences whatsoever. Below, in Ricardo’s own words, is what happens when you follow SCD to the letter. 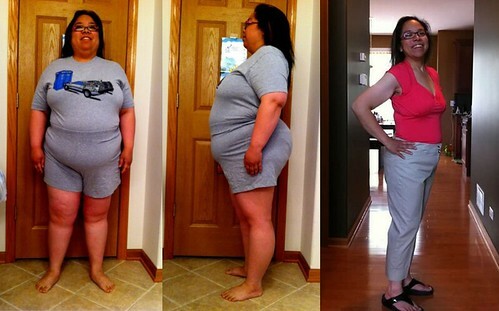 People always ask me what moment led me to lose over 150 pounds in 9 months on the Slow Carb Diet (SCD). I crack a smile when I get asked. Unlike some, who can pinpoint one moment in time which defined the start of their journey, I have three “moments” that immediately come to mind. The first was months before I started the SCD in August of 2011. It was when I realized that overweight people on TV, told they would die because of their weight, weighed less than I did. The second moment was the day I got my gym membership card. Instead of it prominently featuring my face, my whole midsection was featured, slumping over the chair. The third moment, which happened just days before I began the SCD, was when a good friend told me that in order to effectuate positive change in your life, you need strength and guidance. You can acquire strength with discipline and will power, but guidance, well, that’s where Tim comes in. I recall reading headlines in August that Amazon had just signed its first author for a new publishing arm. 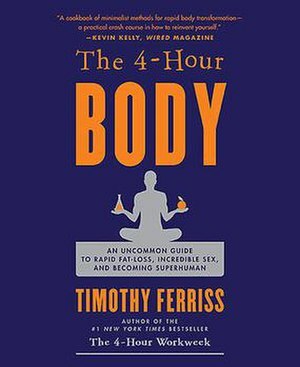 Not knowing who Tim Ferriss was, I did some research and found a Gizmodo article. I was at the grocery store that day with my shopping list and began the SCD the very next morning. During my first few days, I was pleasantly surprised to find content and support readily available online, and how much personal feedback Tim would give via his blog. He not only provided you with a plan, but was right there with you when you had any doubts. Tim provided that little push that got me going. How far I went then was entirely up to me. This is the best answer I can conjure when asked about my success on the SCD. I truly took Tim’s mantra of keeping it simple to heart. Being able to plan all of my meals ahead of time removes not only stress, but also the guilt associated with eating unhealthy foods. My previous “meal plan” consisted of eating junk food three times a day and constant snacking. Not a day would go by without having dessert, consisting of either a pint of rich ice cream or bag of cookies. Looking back, I can easy understand how I got to 410 pounds. I have been overweight my entire life. Whenever I managed to lose weight, I’d gain it all back. I had been open to the idea of dieting for some time but found diets too hard to follow. I would start one, and as soon as I cheated or ate incompliant foods, I would give up. This is why I knew the SCD was something I had to try. How could I pass up losing weight while not only being allowed to “cheat”, but being required to do so for an entire day out of the week? Months after starting the SCD, I ran into an article in the UK’s Daily Mail explaining the science behind postponing eating, which further reinforced the science behind cheat day on the SCD. This, coupled with the outstanding community aspect (via blogs and personal websites), has led to my success and high compliancy rate (over 90% complaint in the past 9 months). I don’t snack, and I only drink unsweetened iced tea and black coffee. I also drink at least a gallon of water a day. – Breakfast, which I have no later than an hour after waking up. – Lunch, which comes at least 4 hours after breakfast. – Dinner, which is anywhere from 6-8 hours after lunch. When I don’t have time to cook at home, I either get a chicken bowl from Chipotle (no dairy or corn) or order a carne asada (grilled steak) plate at my local burrito shop, which consists of steak, pinto beans, and a salad (no cheese). Keeping your meals simple makes failure less likely. Based on my experience on the SCD, the only advice I can give you is to stick with it. Your time is now. Don’t make a big fuss about it, and don’t tell it to the mountain. Keep it on the down-low for the first few weeks. This is a personal journey, and success will entirely depend on you. Tim has given you all the tools; now it’s up to you to put them to work. Keep it simple, and if you have to ask, don’t eat it. Save it for your cheat day. I started the SCD on a Wednesday and did not have my first cheat day until the second Saturday. I invite you to take the “Wednesday Challenge” and do the same. This will give you a head start and allow you to build up will-power. I still carry the gym membership photo in my wallet every day. It’s constant motivation to keep at it… to continue on this wonderful, albeit challenging, journey. I did my part, building the strength through discipline and will power to succeed on the SCD. But without Tim’s guidance, I would not be here telling you my story. Seek strength. Seek guidance. 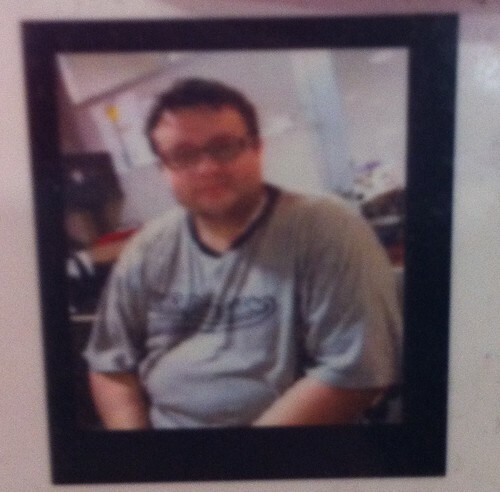 My name is Ricardo, I am 31-years old, and I’ve lost more than 150 pounds on the SCD. Thank you, Tim. First of all, thank you, Ricardo. Sincere thanks to all of you who read what I write. And congratulations to all who’ve made it happen! 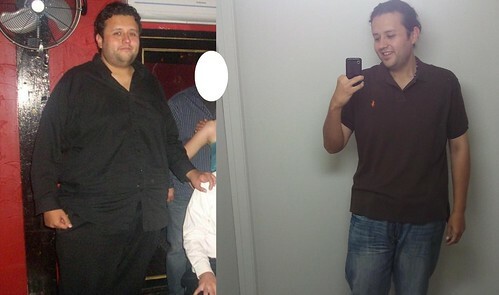 Armed with a basic overview of the SCD and a supportive online community (like 4HBTalk), Ricardo lost 150 pounds. Similarly, the others above took a basic plan and put it into practice. 1. If you’re trying to lose fat, commit to testing The Slow-Carb Diet for two weeks starting this Wednesday. Read the above, perhaps considerThe 4-Hour Body, and just get started. Put it on the calendar and make it happen. 3. Last, if you know someone who needs (or wants) to lose weight, please tell them about Slow-Carb somehow. I don’t care at all if they buy the book or not. The Gizmodo article and other blog links can do a great job. I’ve seen the tremendous difference it can make in the lives of entire families, not just individuals. Whether it’s life-or-death or just looking better in jeans, if you know someone who can benefit, please pass it on. Thank you for reading, everyone, and have a wonderful week. You are currently browsing the archives for the Slow-Carb Diet category.